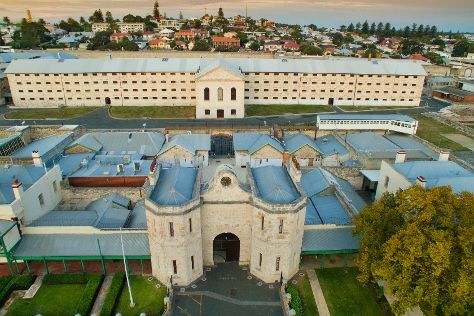 Get some cultural insight at Fremantle Prison and St. George's Cathedral. Your inner history buff will appreciate St. Mary's Cathedral and The Perth Mint. Explore the numerous day-trip ideas around Perth: Barna Mia Nocturnal Wildlife Experience (in Dryandra), Caversham Wildlife Park (in Whiteman) and Dolphin & Whale Watching (in Mandurah). And it doesn't end there: enjoy the sand and surf at Rockingham Beach, look for all kinds of wild species at Matilda Bay Reserve, get to know the resident critters at Perth Zoo, and take some stellar pictures from Fraser Avenue Lookout. To find more things to do, traveler tips, photos, and more tourist information, use the Perth trip itinerary app . If you are flying in from Malaysia, the closest major airport is Perth International Airport. In September, daytime highs in Perth are 24°C, while nighttime lows are 9°C. Finish your sightseeing early on the 18th (Wed) to allow enough time to travel back home.